Ford Motor Company is accelerating efforts to train future engineering, manufacturing and IT professionals by adding four career academies in Detroit that will serve 1,400 students. network that Ford is building to help prepare students for jobs in the 21st century, and meet the growing need for workers in the fields of science, technology, engineering and math (STEM). 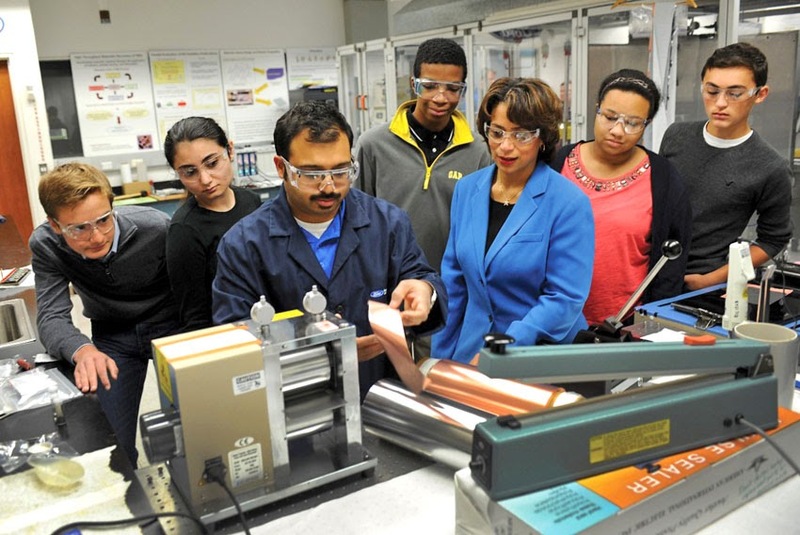 "These academies are an innovative way to invest in our future workforce," said Felicia Fields, Group Vice-President, Human Resources, Ford Motor Company. "Not only do they help students make the connection between classroom learning and a career, they address our need for workers with strong technical backgrounds." Ford currently has four academies in three locations - Volusia County Fla., Louisville, Ky., and Utica, Mich. When the Detroit academies are added, the network will be serving 2,800 students. By 2020, Ford expects to have 20 academies serving 7,000 students in cities where the company has assembly plants, as well as elsewhere in the U.S. The academies are a combined effort from Ford's STEM educational programs and its national Next Generation Learning (Ford NGL) initiative. Ford NGL, which was launched by the Ford Motor Company Fund in 2006, provides financial support, coaching, mentoring and technical support to 20 communities in the U.S. The UAW is also supporting the academy effort on multiple fronts, including teacher externships, which bring teams of teachers into Ford facilities to gain first-hand workplace experience. Academy students attend their regular high school. However, instead of participating in general classes, they learn their rigorous, standards-based core academics through projects grounded in engineering, information technology, and manufacturing. For example, students at the manufacturing academy in Jeffersontown High School in Louisville learn math and science in the context of issues they would encounter in a manufacturing facility such as Ford's Louisville Assembly Plant.